Named after Saint Hermagoras, the area of Hermagor – or the town of Hermagor-Pressegger See – is one of Austria’s best-kept secrets when it comes to excellent skiing, beautiful architecture and local cuisine. The Nassfeld snow area is considered one of the best the country has to offer, offering winter sports of all types to locals and visitors alike. A larger town in comparison to the many smaller skiing villages dotted around Austria, Hermagor takes its skiing seriously. Set right on the alpine border of Italy in Carinthia, holidaymakers aren’t confined to Austrian tourism, and visitors can easily spend time in the two different worlds on either side of the border. With a regular snow season and plenty of cultural opportunities, Hermagor offers skiing on a larger scale. 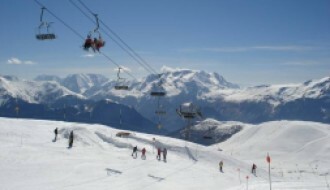 Known as the ‘Nice surprise’ ski resort, the slopes are known for their fair, sunny weather and pristine snowfall. For updated snow and weather reports from Hermagor, take a look at our resort guide here. A town with a long and storied history, and a population of around 7,000, Hermagor has plenty to see and do. The town is well-known for being the administrative centre of the district, as well as its various religious and cultural connections. With numbers far exceeding population during the winter season, there’s never a dull moment in this vibrant town. 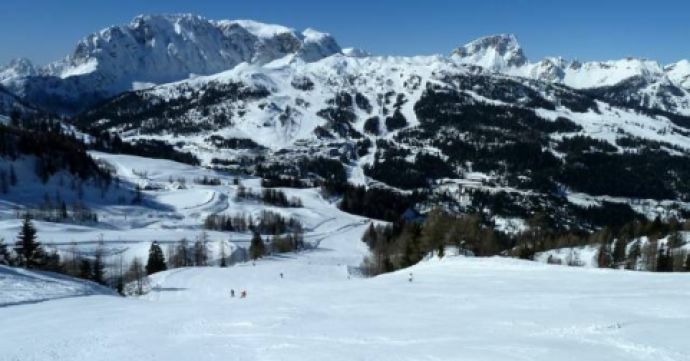 Known for its excellent snow sports selection, skiers will love the vast slopes and varied pistes that Hermagor and Nassfeld offer. With 110km of slopes available to match a wide range of different skill levels, from beginner to expert, there’s room for everyone. The use of 30 lifts further makes Nassfeld the ideal site for holidaymakers who are serious about their skiing. Ski season runs from a reasonable December-April. Hermagor’s ski resort offers a maximum elevation of 2,002m, every part of which is well-cared-for and groomed to ensure visitors have the best possible experience when out on the snow. The longest run is the 8km Carina run, while plenty of shorter routes are also available. With an average snow report for Heramagor standing as about 125cm, it’s the perfect winter holiday destination. But what about outside of the ski season? One of the most famous – and popular – features of the town is its proximity both to some beautiful Austrian villages and the Italian border. This unique position keeps tourists coming back for more and offers to unique locations to visit in one single trip. Hermagor is beyond the average alpine town, offering unique architecture and culture that you just can’t find elsewhere in Austria. Featuring several beautiful churches and a long history, this town is just as fascinating off the slopes as it is enjoyable on them. A great deal of this beautiful town’s atmosphere and lifestyle is down to its dual Austrian and Italian roots, forming an impressive blend of cultures. Visitors can enjoy the sights and sounds of Italy for the day in the many cafes or stores, then enjoy Austrian cuisine and music in one of Hermagor’s bars or restaurants. Outside of shopping and cuisine, the landscape of Hermagor is ideally suited to walking, hiking and even mountain climbing during the sunnier months, making it the perfect choice for those who enjoy soaking up that Italian sunshine while enjoying the stunning views, flora and fauna of the region. A mix of old-world charm with modern resort design, properties for sale in Hermagor can vary drastically from one sale to the next. As a town, Heramgor has its fair share of classic architecture towards the centre, as well as classically-Austrian designs, while towards the resort itself there are plenty more modern chalet-style properties to consider. From small family holidays to larger group travel, Hermagor’s properties range in size as much as they do design. There are chalets and properties suited for just about anyone considering buying a property in Hermagor, whether they prefer a more urban experience, or they would rather get a little closer to nature. In the past year, over 5 million euros has been invested into the infrastructure of Hermagor and Nassfeld, offering excellent improvements to existing lifts as well as brand-new accommodation within the ski resort itself. 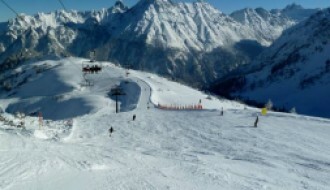 Other recent investments include steps to improve piste quality, and the extension of the site’s après-ski bars and restaurants. The Klagenfurt airport is nearest to Hermagor, at a distance of 90km. During the ski season, shuttles and coaches will be available for travellers to transport them to the resort. For those who prefer to drive, travel to Hermagor is relatively simple, and well-signposted. Hire cars and taxis are available year-round from the closest airports and can often be booked ahead of time to ensure a smooth transfer. 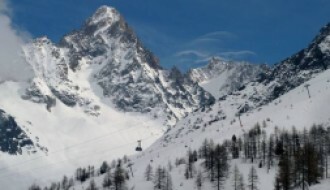 Travel by train is also possible for those who prefer not to fly, which can then be followed with a connecting shuttle, taxi or coach to reach the ski resort. A unique ski resort and fascinating destination, Hermagor is a genuinely different experience that every skier should try at least once. Spacious, convenient and culturally appealing, there’s plenty to explore.